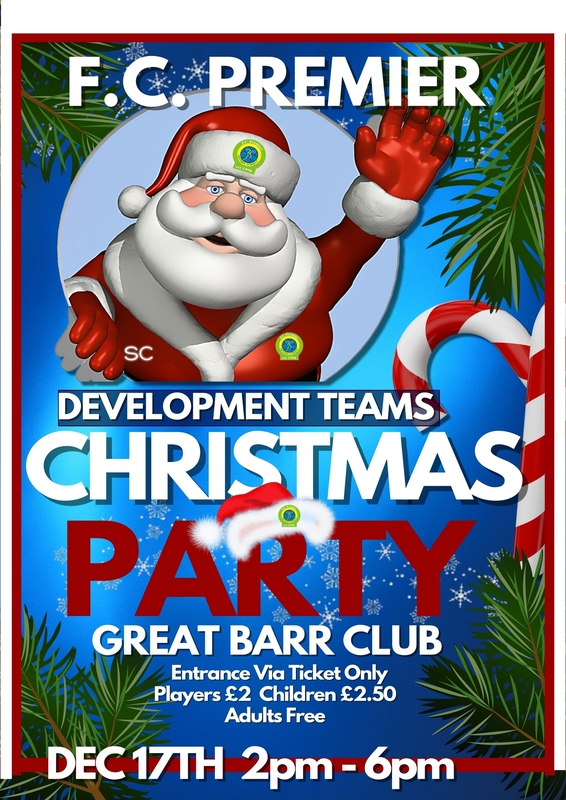 FC Premier Development Section are holding their Christmas Party at the Great Barr Club on Sunday 17th December from 2pm til 6pm. This is the chance for players to party and have fun away from football with music & activities and who knows maybe a visit from Santa Himself! Entrance will be via Ticket only, sorry no ticket no entry due to hall size.